Ron Mitton started selling tires in the early 1960s out of a van, mostly to used car dealers. He would travel lot to lot replacing tires with a manual tire changer he carried in his VW Micro bus. Some 50 years later, Ron Mittons Tire Service has remained family owned and operated becoming one of Scarboroughs most reputable tire businesses specializing all things tires! New and used tires and rims, balancing, rotations, seasonal change overs and flat repairs. 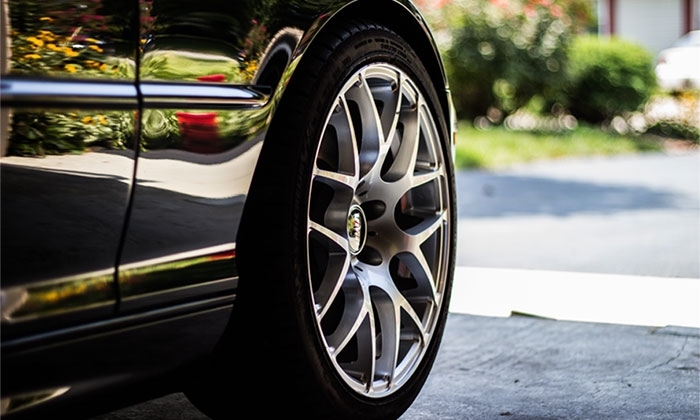 We provide a complete line of Michelin, BFGoodrich, Uniroyal and more! Ranging from your everyday use, high performance and light trucks. Our top priority is customer safety and satisfaction and we have a reputation for fast efficient service along with affordable prices. Our professional staff have the wealth of knowledge and experience, including Jamie, who has been in the tire industry for over 30 years. You can visit us at 295 Danforth Road, in between Warden and Birchmount. We operate on a first come first serve basis so no appointment is necessary. Ron Mittons, a name you can trust for all your tire needs.